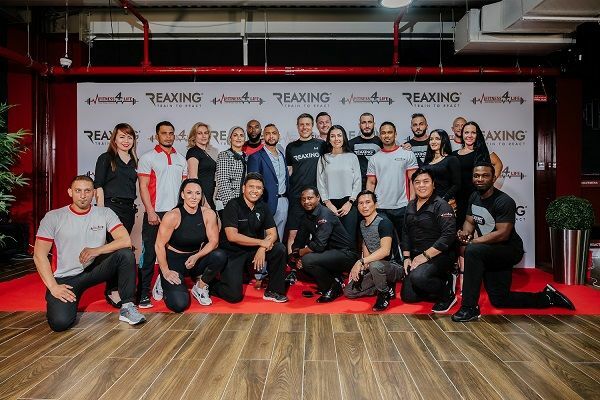 BUSINESS BAY, UAE – April 10, 2018 – PRLog — Fitness4Life, one of the leading health and fitness clubs in the UAE and the Gulf region, officially launched a revolutionary fitness solution – Reaxing. The inauguration was done on 9th April by Mr. Badr Buhannad, Executive Vice President-strategy, business services and RM for Dubai Silicon Oasis Authority. Fitness4Life is the only gym that has adopted this new technology in UAE and GCC. Fitness4Life has been a proud trailblazer in personal training in the region. For over 20 years there have been major developments and improvements in the fitness area. The Reaxing technology, introduced by Fitness4Life, reflects the demand for innovation and change in the Middle East fitness industry. This advanced training approach is based on “Sudden Dynamic Impulse” technology and a wide range of equipment. Reaxing training is the first and only method in the world based on the gradual release of monitored impulses, through light, sound and tactile stimulations and/or sudden motor interferences. The participant involuntarily activates quick neuromuscular reactions. This unpredictability boosts training performances to a much higher level in terms of quality and quantity. The results that can be achieved through this technique include improved performance, high metabolic activity, increased muscular responsiveness and reliability of post trauma recovery. Moreover, this technique is highly versatile and easily customizable in terms of endurance and strength. In the early 1990s, Fitness4Life started with a small group of professional athletes in Canada. The Dubai Silicon Oasis branch opened for business in 2012. Fitness4Life offers world class services including; best class equipment, fitness programs, cardio, strength classes, kids health club, summer, winter and spring camps for kids, internationally accredited personal trainers, outdoor and indoor activities, indoor swimming pool, suspended jogging track, a martial arts academy as well as multiple membership privileges.